These masters of optics are no subject here. We however close in to the periscopes used in fortifications. 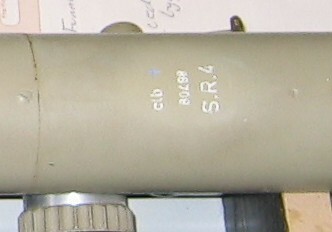 This model is the common periscope used in bunkers. A carrying box contained all the needed parts. For use under extra thick concrete (3.5 meter) an extension pipe was added. 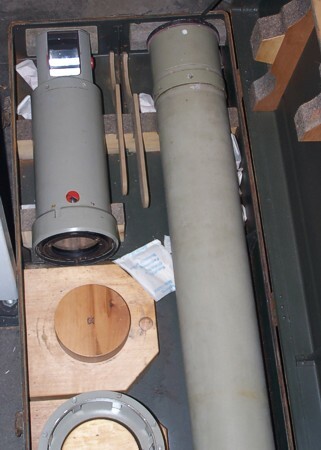 Archives also give an SR-10. 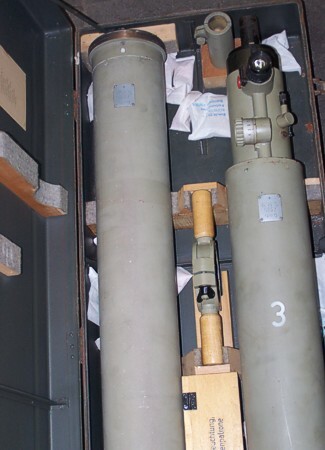 Several parts of a SR-9 are shown here in the original carrying case. The head seen in detail. 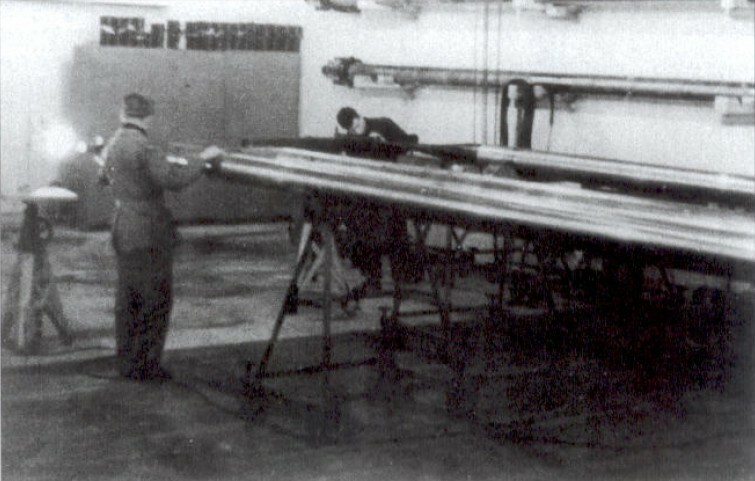 This thin periscope was used as a replacement set for the larger observation periscopes. It was also used in the "Kleinstglocke" which have a central opening, such as the 486P2 and the 749P3 series. 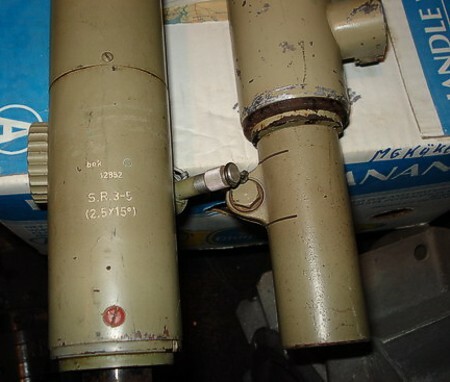 We also think that these periscopes have been used in the Czech Mg-cupolas. Here is a "4" in the original box. 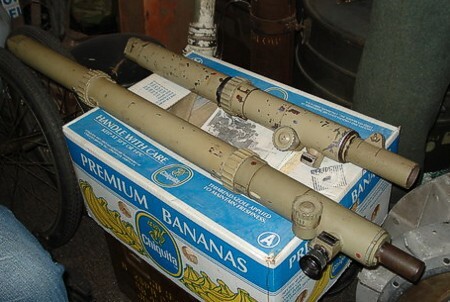 Here is a set of two, one has an extra extension tube. 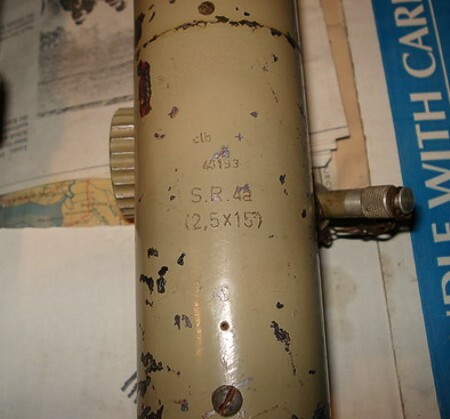 The left one is marked S.R. 3-5. This is a regular "4a". This series needs more study.